Why deep fry when you can bake your schnitzel in the oven with excellent results! 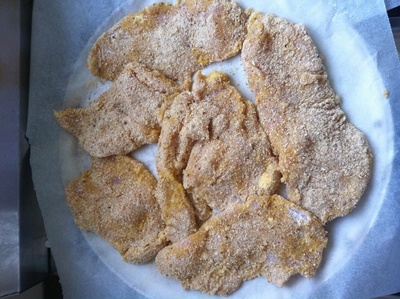 If you don't feel like oily chicken schnitzel, why not oven bake it and make it a little bit more healthy. 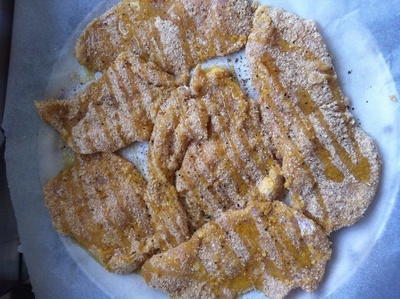 I used to think that the only way to cook chicken schnitzel was to shallow fry it in oil, until one day I was in a rush and decided to cook it in the oven. The results are amazing and I actually prefer the oven baked schnitzel now anyway. If you drizzle a nice amount of oil over the schnitzel, it actually becomes tender and crispy. I make this at least once a week and serve it up with vegetable side dishes or salad. It also makes for great snacks or sandwiches for school lunches. I love the fact that this dish is actually healthy and good for you because it is not deep fried and certainly not oily. I always use extra virgin olive oil in everything I make and the kids have grown to love it! Extra virgin olive oil has a beautiful fruity and tangy flavour that brings any dish to life. Experiment with different oils to see which one suits your family. At times we cook with mustard seed oil, plain olive oil or extra virgin olive oil. The best schnitzels I have ever had have been while visiting Germany with a creamy mushroom sauce or gravy poured over the top. Use any sauce you like, the schnitzel speaks for itself. 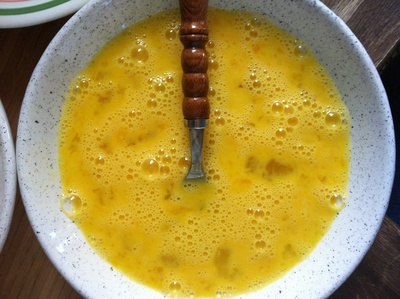 Place the eggs in a bowl and whisk together. 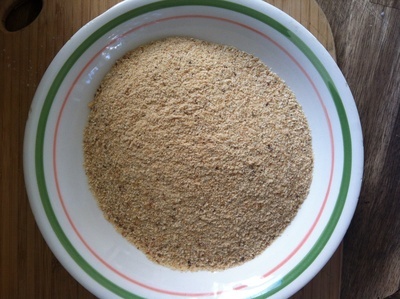 Place the breadcrumbs in a bowl. 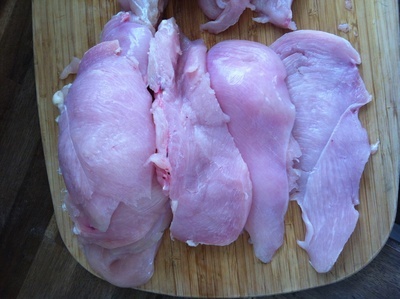 Slice the chicken into schnitzel slices and season with salt. 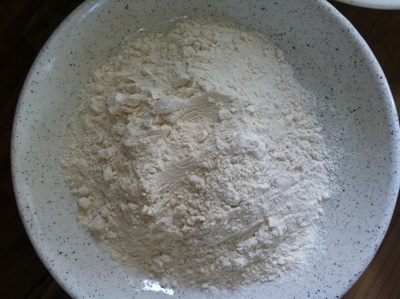 Dip the chicken into flour, then egg, then breadcrumbs. 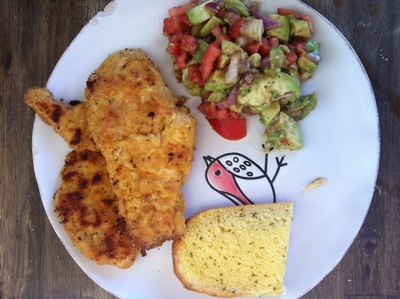 Lay out on a baking pan. Drizzle with a generous amount of extra virgin olive oil. Bake in the oven on 190 degrees celsius for 25 minutes, turning once. Serve up with your favourite salad or garlic bread.